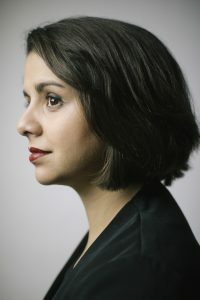 Born in Lisbon, Portugal, Laura Lopes (1991) studied harpsichord and singing at Instituto Gregoriano de Lisboa, where she completed the secondary course in 2010. Afterwards, she went on to Escola Superior de Música de Lisboa and finished her BA on Choral Conducting/Music Pedagogy in June 2013. In 2011, she got the opportunity to study at the Kodály Institute in Kecskemét, Hungary, as an Erasmus student. Since moving to The Netherlands, Laura has sung with the TENSO choirs Cappella Amsterdam and Nederlands Kamerkoor, the Nederlandse Bachvereniging, Laurens Collegium Rotterdam, Rotterdam Symphony Chorus, Groot Omroepkoor, Meesters en Gezellen, etc. Back in Portugal, Laura is a member of the Coro Gulbenkian since 2009. As a student of the Koninklijk Conservatorium in Den Haag, Laura participates regularly in the Early Music projects as an ensemble singer/soloist: for example, last April in Warsaw and Krakow, Poland with polish renaissance and baroque music and next November in New York and Boston singing B-minor mass by J. S. Bach conducted by Ton Koopman, in a co-production with Juilliard. Laura is the conductor and artistic director of the Archicappellakoor in Den Haag and her interest in producing events made her active in that field as well in the Koninklijk Conservatorium (Mozart Double in co-production with The Orchestra of the XVIII century) and with TENSO (Tenso Professionals Meeting in Porto 2015). Since the season 2015/2016 Laura is a member of the Young Bach Fellowship of the Netherlands Bach Society. In September 2015 Laura co-founded the ensemble Le Voci delle Grazie, specializing in early baroque vocal virtuoso chamber music with whom she performed in Belgium, The Netherlands and Italy. Future engagements of Le Voci include concerts in Early Music festival in Bauska (Latvia), Brugge, Utrecht and Ferrara.